SOME of Zimbabwe’s celebrities yesterday joined the world in making April Fools Day pranks on various social media platforms. The first day of April is a day of trickery. According to history.com website, the April Fools’ Day has been celebrated for several centuries by different cultures but its exact origins remain a mystery although some historians speculate that it dates back to 1582. “In modern times, people have gone to great lengths to create elaborate April Fools’ Day hoaxes. Newspapers, radio and TV stations and Web sites have participated in the April 1 tradition of reporting outrageous fictional claims that have fooled their audiences,” reads part of the website’s review. 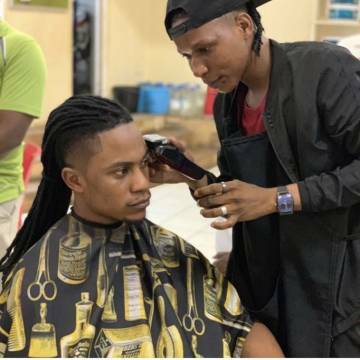 Yesterday, celebrities like Jah Prayzah, Olinda and Tytan among others had their fool’s day pranks for their followers. Jah Prayzah: Vatsigiri vangu, ndimi munondipa simba rekuramba ndichishanda, ndinokutendai nerutsigiro rwenyu. Video iyi ndaita nemoyo wese ndinovimba muchaifarira. Enjoy – Kumahumbwe video. Bustoptv took to social media that Andy Muridzo had re-joined Military Touch Movement. 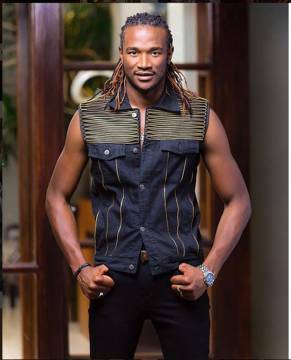 They claimed that Andy Muridzo had decided to rejoin Jah Prayzah’s Military Touch Movement. Tytan and wife Olinda uploaded a video on Facebook pretending to have been blessed with a child. Rodder Ods: Welcome to the world Nandi, congratulations Olinda and Tytan. Faith Awoyemi: Lol why is everyone saying congrats. Phillipa Chirimuuta Hunt: Woooh still pregnant for sure, seen the tummy. Nakisha Patie Mwadziwana : you mean Nandi is not yet here Olinda so ka usatidaro. Esther Magadza : I hope , we are not being played April fools here. Keitu Murombedzi Nyamutora : When a woman is loved right. You are blessed Olinda. Lyvonia Kwaramba : Nandi please come I want to see you wearing the cute shoes.